Latitude/Longitude: N50º 06' 16.01 W5º 23' 30.76"
Praa Sands is an ideal base for exploring this area of South West Cornwall, convenient for Porthleven. Helston, St Michael's Mount and Penzance. A half-hour drive brings you to Land's End in the west and the Lizard Peninsula in the east. The mile-long sandy beach is the main attraction. 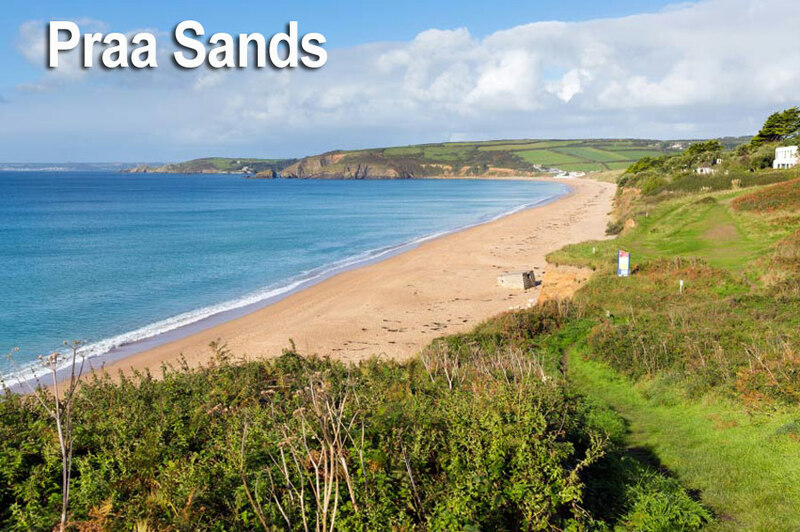 The stunning beach at Praa Sands is backed by a long sand dune system. 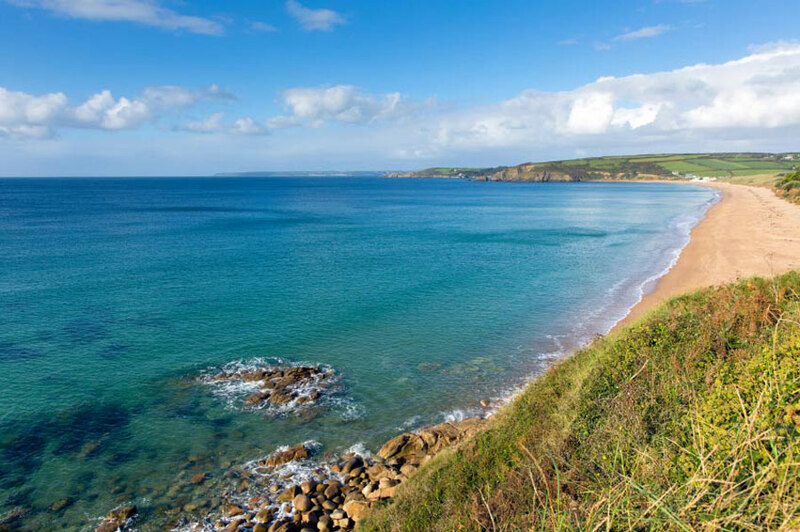 Praa Sand's gorgeous sandy beach means that this is a popular spot for both holiday makers and locals. 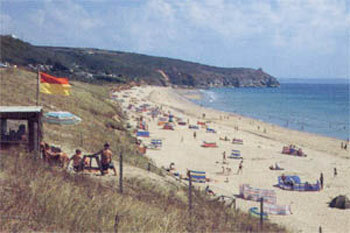 The proximity of the car-parks and other facilities make it an ideal family beach. The beach has some 500 car parking spaces available. NB parking fees apply for using the car park. Praa Sands has very good surf and surf hire facilities. - the beach is very popular with the surfing community Popular especially when there's a good swell and northerly winds. There is also athe Praa Sands nine-hole golf course is only minutes away. The Beach has all the usual amenities that you would expect to find in a Beach Resort �cafes, beach shops and a pub. The Sandbar is a a modern and bright restaurant/bar located right on the beach. The Sandbar has stunning coastal views across the ocean. Beyond the beach, on either side, the coastal paths rise up to provide spectacular views of Penzance and the Lizard Peninsula. The landscape of rolling hills is dotted with interesting villages, churches and historic sites. At Germoe you can find the arched stone seat of St Germoe in the churchyard, while at the church of St Breaca at Breage you can admire the 15th century wall paintings and a 3rd century Roman milestone. Climb the summit of Tregonning Hill, near Ashton, and you'll be rewarded with magnificent views of Mount's Bay and the Lizard. It's also worth exploring the remnants of the hill's Iron Age fort and settlement, but beware of unfenced mineshafts. 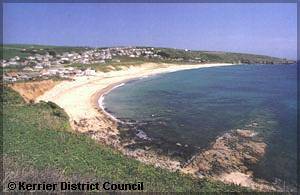 Sat Nav Co-ordinates: N50º 06' 02.74" W5º 24' 58.48"
West of Praa Sands lies Kenneggy Cove and beyond that Prussia Cove - a sheltered secretive inlet, once the haunt of John Carter, Cornwall's most notorious smuggler. To the east is the high cliff scenery of Rinsey Head and Trewavas Head, with its impressively sited engine houses. Below these cliffs, reached by a steep path which was probably cut by smugglers, you'll find the lovely tidal beach of Porthcew (Rinsey Cove). 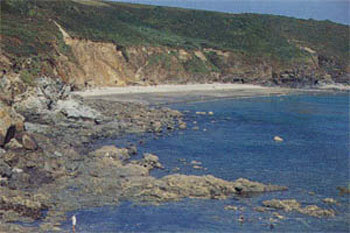 Kennegy Sands, is a secluded sandy beach with no facilities or parking. The beach is reach via a steep rocky descent with the help of a support rope and metal ladders. Not suitable for families, pushchairs and wheelchairs. Tel: 01736 710100. Self-catering Holiday Rental in Penzance with Sea Views- sleeps 6.